Establish the reasons that you need to re-design your office. There may be many factors driving the need to do it, perhaps you've taken on more staff and everyone is getting a bit too close for comfort or perhaps you've had a re-brand. It could just be that the office is looking tired and lacks colour. Try to prioritise the reasons for the office design in case your budget dictates that you need to make some compromises. A good office design and refurbishment brief will cover information about your company such as the company size, nature of the business, business goals and strategies for expansion, company ethos and branding. It will also provide information on what's happening in your macro environment such as whether there are competitors nearby that you need to stand out from? The debate rolls on about open plan vs. cubicle style office design layouts. It really is a case of what works for some, won't work for others. Run an employee survey to find out how people feel about the current layout and give them the option to provide feedback and suggestions. There is a case for collaborative working in most offices these days but this can be achieved with the design of collaborative workspaces in distinct areas. Establish a cross-departmental group to ensure you take into consideration different ways of working in each department and assign a project leader with strong organisational and people skills. 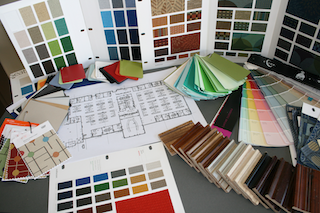 A good office refurbishment company will provide all the key services such as project planning, space planning, office design, decorating and interior design and office furniture. Price is obviously key, but as with most purchases, both in our personal and business lives, people buy from people, so you'll get on working together over the coming weeks or months is also important. For more information on this, download our free E-book.